World Cup 2014: Bobby Crutchley’s Key Three. Bobby Crutchley’s first World Cup as England’s Head Coach has thrown up a real group of death: Australia and Belgium can lay claim to being two of the strongest sides in the competition, whilst India, Malaysia and Spain offer a dangerous unpredictability to go with some extremely gifted individuals. There is no doubt even making the semi-finals will be a tough ask. However with wins in the World League Finals over both Belgium and Australia and some excellent performances during the new coach’s reign so far, there is much to be optimistic about. The Top of the D looks at three of the key players England will rely on to carry them through. There is some symmetry between Pinner’s rise to the top and that of Maddie Hinch, in the women’s side: Both had to bide their time behind more established custodians before making the step up after the London Olympics and both have taken to international hockey with great success. Pinner is a larger than life character who exudes confidence and determination on the pitch. His giant frame and incredible athleticism make him hard to beat from both penalty corners and from open play. I have watched his development at international level with great interest and have been impressed by some small improvements he has made to his game. For example, his ability to not only reach certain shots on goal, but to also ensure the ball is cleared to safety as he makes the save. It is a small tweak that owes much to his conditioning, technique and his speed of thought, but that also makes a huge difference, ensuring any forwards following in are not allowed a second chance at goal. It sounds simple, but the number of goalkeepers at all levels who do not do this is incredibly high, and at international level second chances for strikers can be very costly. 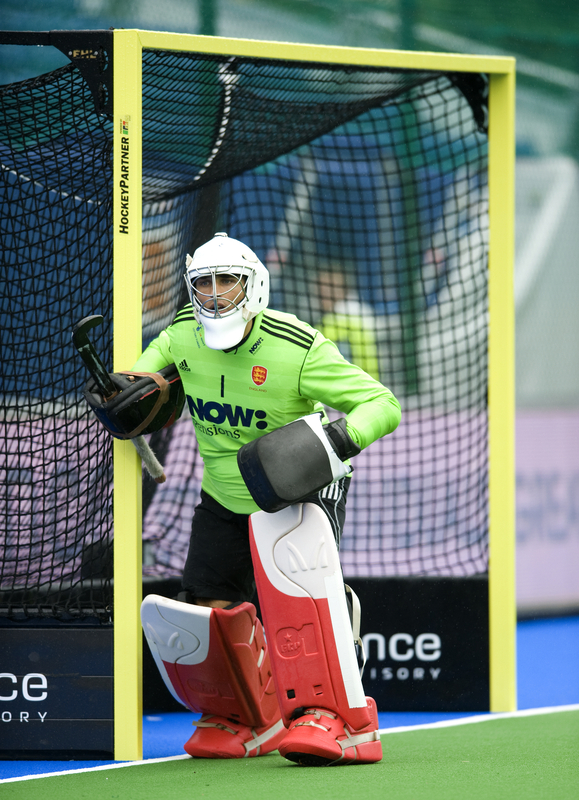 Pinner picked up the goalkeeper of the tournament prize at the World League Final and has begun to really impose himself on being the No1 for his country. He will undoubtedly be tested to the limit of his abilities in front of the world in The Hague. England’s chances rest heavily on the Beeston stopper having a good tournament and rising above the pressure to keep the opposition at bay. Tobias Hauke, the FIH World Player of the Year has hailed the Reading star as one of the best around, citing Catlin’s close control and stick skills as a real danger. The No26 benefitted greatly from his year in Belgium, coming back home with seemingly an extra yard of pace, some extra tricks in the locker and a renewed confidence in his ability. At times during previous years, England had been accused of being a little bit workmanlike. They were a side who was hard to break down but who lacked any sort of flair or any sort of unique individual play in the final third. Catlin’s skill on the ball is hopefully a remedy to that problem. With the pool games likely to be tight, his link up play with Barry Middleton, Ashley Jackson and the forward line as well as his ability to produce a piece of magic to unlock the opposition defence will prove crucial in England’s quest to find the goals to reach the semi-finals. No real surprise to see the East Grinstead man’s name come up but it doesn’t make him any less important. Jackson has endured a tough time with injuries and missed out on the European Championships with an ankle problem. Now, with the No7 back to full fitness he is starting to remind people just how much talent he has. Before his run of injuries Jackson played with an air of confidence, almost a swagger. He would stroll onto a pitch and take control of a game on his own, looking like the best player out there. After his injury problems there have been times where it has looked like he was playing within himself, possibly because he was not 100%, possibly for fear of his body breaking down again. Now, that old swagger is back and he is hitting top form at just the right time. His understanding with Catlin and Middleton and his vision and knack of picking a pass that others would not even see will be crucial, as will his deadly accuracy from penalty corners, where he is still one of the best around. If Jackson is on song, England are a dangerous side. 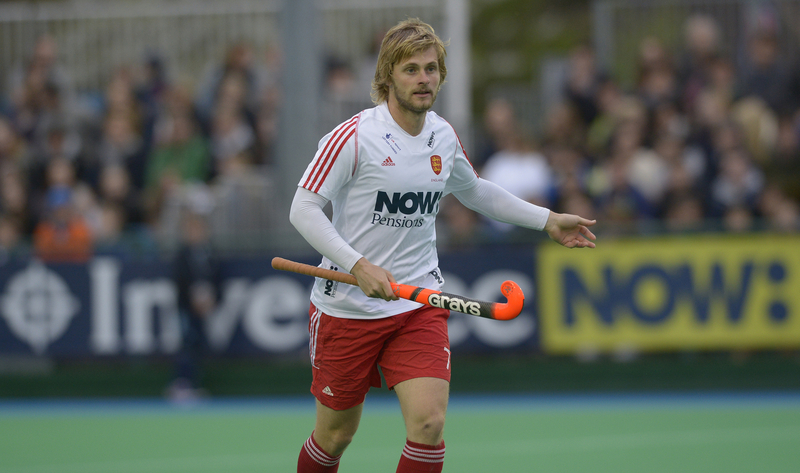 Bobby Crutchley’s team open their World Cup campaign on 31 May against Spain. The full schedule can be found here. You can see how The Top of the D’s Key Three and their teammates fare by following my match reports and tweets from The Hague. 5 Responses to World Cup 2014: Bobby Crutchley’s Key Three. Really looking forward to the world cup and it is great that sky are showing the games, but will I still be able to watch any of the games in the UK without a sky subscription? The Internet coverage of recent tournaments has been great. Looks like you won’t be able to watch it on YouTube or anything but i believe there are some deals available to get a temporary subscription. Best off checking Sky’s website. Nifty stuff, I didn’t realise the WC was so close! Yep. Not long to go now. The stadium and pitches look great and i am more than just a little excited!